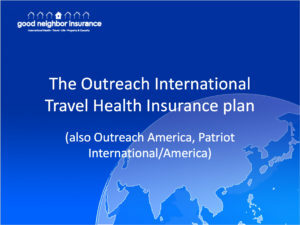 The IMG Outreach International Travel Plan is one of our most popular travel insurance plans. It includes $500,000 in emergency evacuation as well as a host of other benefits for less than $2.00USD a day and it covers you anywhere in the world. You can also get a free quote by following this link to our carrier’s site. Don’t forget to bookmark it for the future! 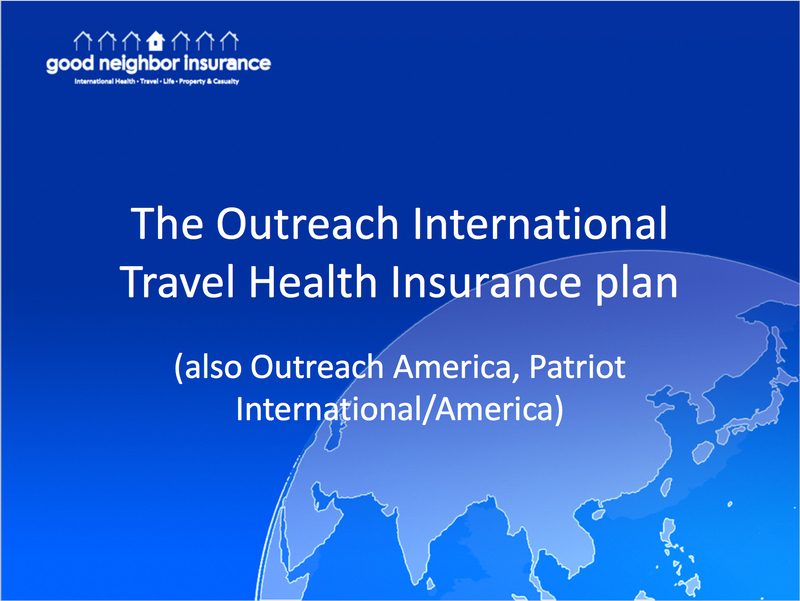 The IMG Outreach International Travel Plan is recommended for those generally healthy travelers under the age of 65. It is one of the top plans we offer and is the most affordable for vacations, general travel, longer trips (can be renewed up to 2 years) whether volunteering for an NGO or non-profit or going on a mission trip. Click on the brochure to read more and for a link to download the brochure.